To be completely honest, I don't like sour cream. 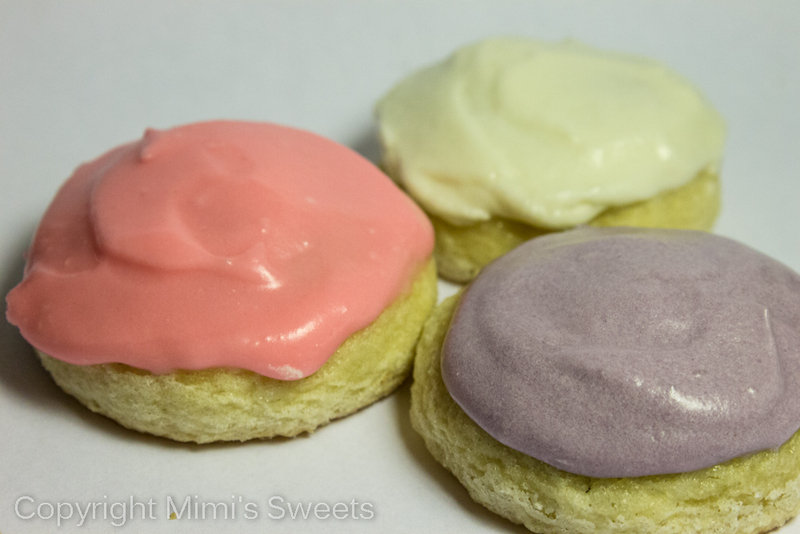 The only things I'll eat sour cream with-- and actually think they taste good-- are strawberries dipped in sour cream and then rolled in brown sugar (yes, I thought it sounded strange until I tried it), and these sour cream sugar cookies. However, with these cookies, you don't taste the sour cream. It just helps to make them light and fluffy. 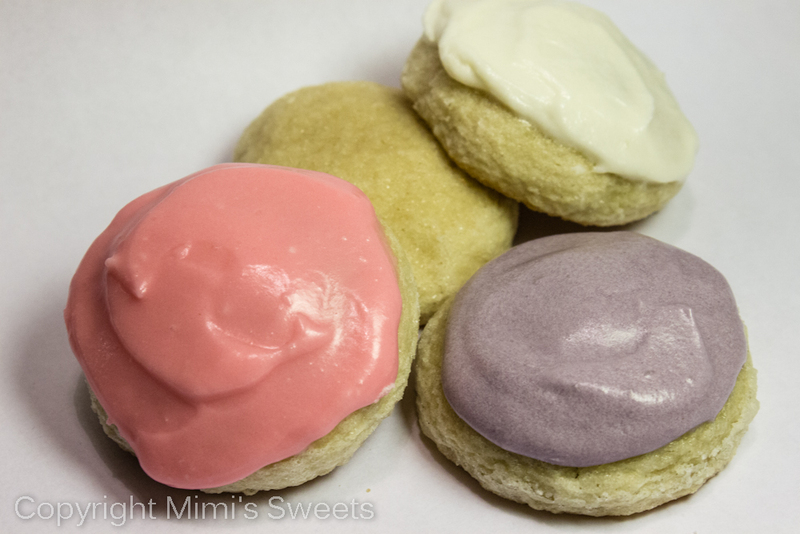 In honor of Mother's Day, which is coming up really soon, I decided to take my homemade cream cheese icing and color it pink and purple. Regardless of whether you actually put icing on these cookies or not, anyone that has eaten these delicious cookies will tell you that they can't just eat one. They are so addicting! I absolutely without a doubt love these cookies. I'd marry them if I could. Of course I'd end up eating them so it wouldn't last long. But I LOVE THESE COOKIES!